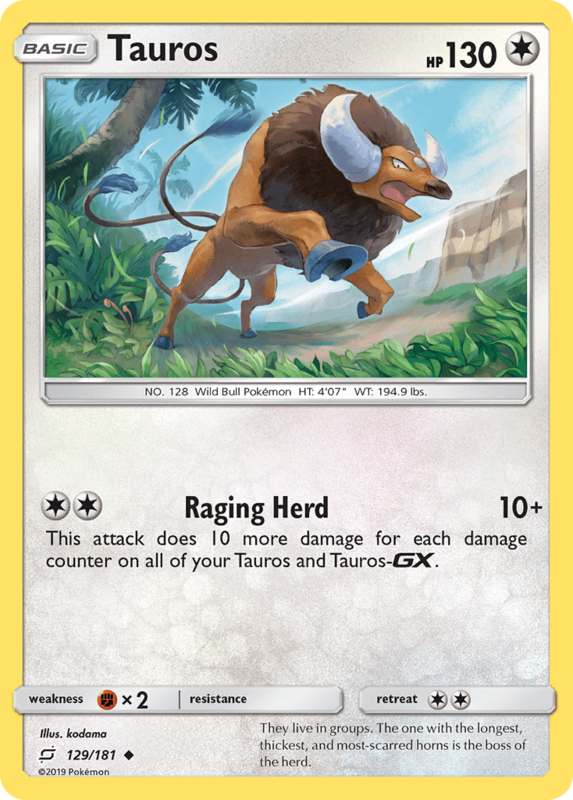 This attack does 10 more damage for each damage counter on all of your Tauros and Tauros-GX. They live in groups. The one with the longest, thickest, and most-scarred horns is the boss of the herd.